The most important thing to focus on in any PPC Campaign is ROI. If the ROI is low then eventually your PPC Client is going to run out of cash to put into their PPC Campaign and as a PPC Manager you will be out of a job. Therefore, how can ROI be improved? The answer lies in the generation of a combination of high-quality leads and high volume leads. The problem is that you need to find a happy medium in between high-quality and high volume leads in order to generate a good ROI. In order to find the best bid and budget for your particular PPC Campaign, Webrageous Studios suggests that you follow the different ideas below. You will need to pay attention to the various different elements of a PPC Campaign that actually affect the ROI. For example, keyword scope, match type, advertisement relevance, day-parting and advertisement distribution all have a significant impact on the amount of money that a PPC Advertiser will need to spend in order to begin seeing some returns on their investments. The trick is managing these costs and ensuring that all of the factors work together in order to make outgoing spending much lower than revenues. The important question to ask yourself when aiming to better your ROI is what is the value of a click to you? How much do you stand to gain from a click if it transpires into a conversion and then a possible internet user who becomes a regular customer, for example? More importantly… how can you work out what the figure would be for the value of one of your PPC clicks? It can be difficult to work out or put a price on this element of your campaign and so Webrageous Studios wants to show you how to work this out with more ease. The best thing to do is to start with the value of a customer and then work backwards. Think about the type of customer who keeps returning to your site time and time again to convert and then continues to do so for life. This is your best type and most valuable type of customer. How much are they worth? Work this out and then work your way backwards to see how much you could possibly risk spending on a PPC click in order to eventually acquire a life-long customer like this. 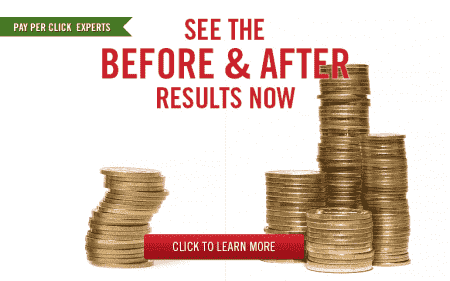 PPC Managers and their PPC Clients must be very clear about when it is important to STOP increasing your budget. Just because you spend more money on a PPC Campaign does not necessarily mean that your ROI is going to improve at the same rate or even improve at all. You cannot just throw more money at a campaign at expect there to be more clicks and more quality leads. You have to test your PPC Campaign time and time again in order to find more ways of optimizing it and generating more success. Do some experimenting with the way in which your budget is managed too. This will help you to find your perfect bid and budget placement and help to improve ROI without a doubt. Look into separating better performing keywords in terms of budget from other keywords in the same ad group. Another option, thanks to the new features of the Bid Simulator Tool, is to place an umbrella budget over the top of more obscure keywords in an ad group that are not under performing but which generate a smaller ROI simply because they are more obscure and therefore searched for by fewer internet users. In addition to all the information on bidding strategies above, one of the most important factors to consider when working on the bidding management strategy of your PPC Campaign is to consider the importance of Quality Score. High quality keywords cost less for each click. High quality advertisements can be shown in a better position without costing more. High quality keywords allow for more clicks within your budget. Finding the best bid and budget for your campaign is a lengthy process full of many testing periods and made up of trial and error in many respects, but Webrageous Studios hopes that the five areas of advice given above is at least enough to make you feel like you have somewhere to begin striving towards the discovery of your perfect bid and budget match.